These photos were taken on 1st January 1999. 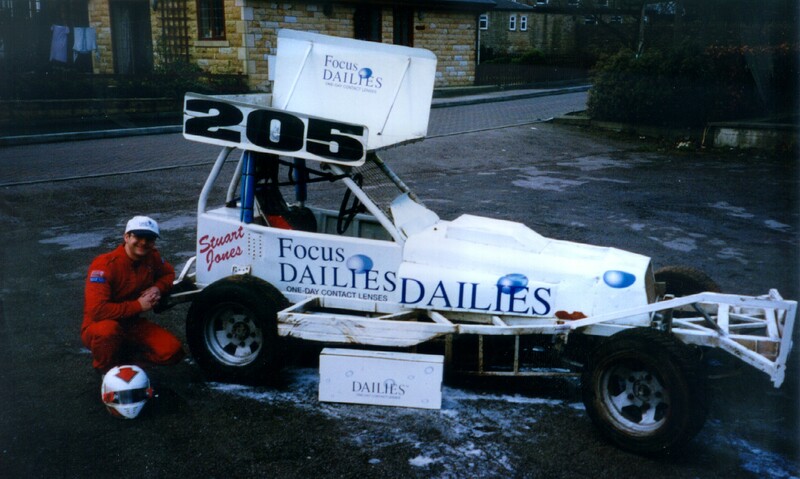 The aim was provide the sponsors ( Focus Dailies Contact Lenses ) with some good publicity shots at their request. The shots from Birmingham Raceway were taken at night, and did very little justice to Car 205. Here, we take a long hard look to Car 205 in the light of day. All photos are the sole property of Joseph Telles. Do not duplicate without prior written permission. Contact Joe Telles to obtain consent. Car #205 takes centre stage for this. A true solo number. Daniel Jones (right) and myself (left) pose with Car #205. 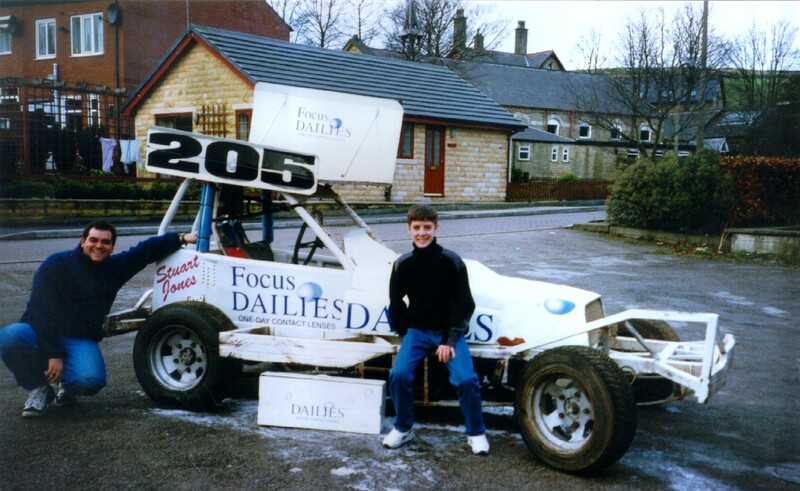 Driver Stuart Jones poses with his mean machine in full racing gear. Aren't those Ferrari overalls he's wearing? Well, a few more shots are going to be put up in the coming weeks, but thats your lot for now. 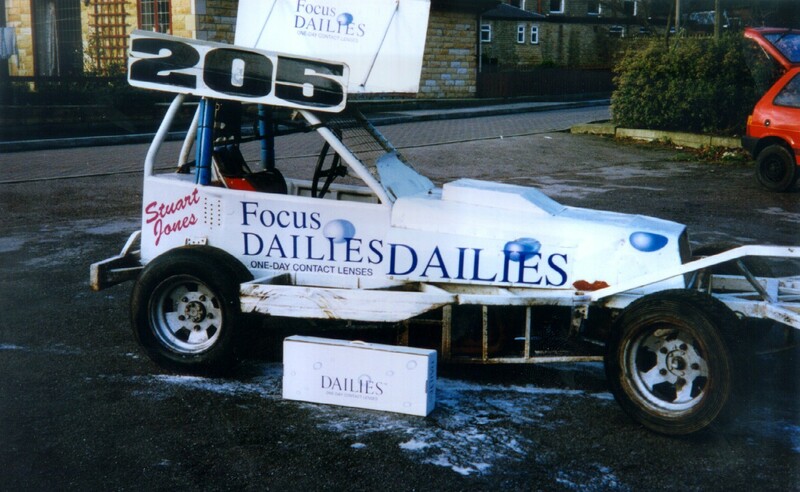 Watch this site for the latest news about Driver Stuart Jones and Car #205. I promise its going to get very exciting!!!!!! A NEW yes NEW web site has arrived from the Rolling Start stable. Click here to see the Rolling Start dedicated Racer site.